Become involved at a park in your neighborhood. We have opportunities for neighbors, school groups, scouts, businesses and civic groups. Forge long-term partnerships with volunteers through positive experiences, training and recognition. Accomplish program needs for the Nature & Trails Department, while increasing the efficiency of staff time and resources. For more information, contact Melissa Marcum, Nature & Trails Volunteer Coordinator, at 503-619-3941. You can also subscribe to our volunteer newsletter for updates! If you are a Weed Watcher and you would like to report an EDRR (Early Detection, Rapid Response) weed species, click here. 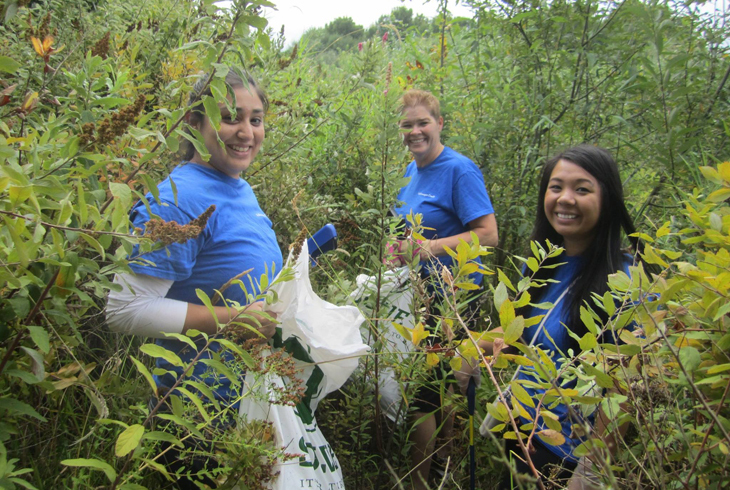 Check out the Habitat, Trails & Gardening Projects page each month for ongoing volunteer opportunities at a park near you!